@BifBangPow: 2011 Comic-Con Exclusive #8 Revealed. Tiny #Dexter! 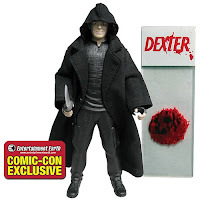 2011 Comic-Con Exclusive #8 Revealed. Tiny #Dexter! Dexter may be small, but he's still just as respectable (or menacing). Introducing our very first 3 3/4 inch action figure - fully compatible with action figure stands that fit the leading brands of 3 3/4 inch figures (hint: May the 4th be with you). Two versions will be available. 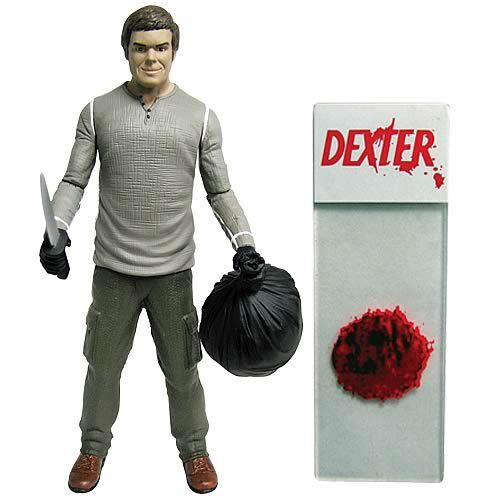 Our first is our Comic-Con Exclusive Dexter as the Dark Defender limited edition, followed by our main line Dexter Morgan version. Lots of articulation points means your Dexter can do all kinds of acrobatics. Order yours today, or stop by the Entertainment Earth booth #2343 at the San Diego Comic-Con 2011 to get the Dark Defender FIRST.